DaysPlan makes managing your timesheets and time off tracking a breeze. 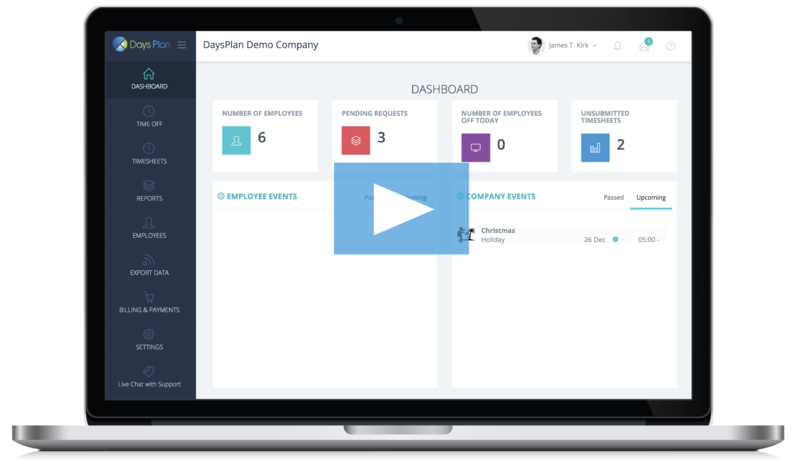 Use DaysPlan to get organized and manage your employee time all in one place. Tired of fighting to collect timesheets at the end of the week? We notify every employee to clock in and out every time they sign in for the day. DaysPlan also gives you tons of options for exporting timesheet data, so you can always get the information you need. 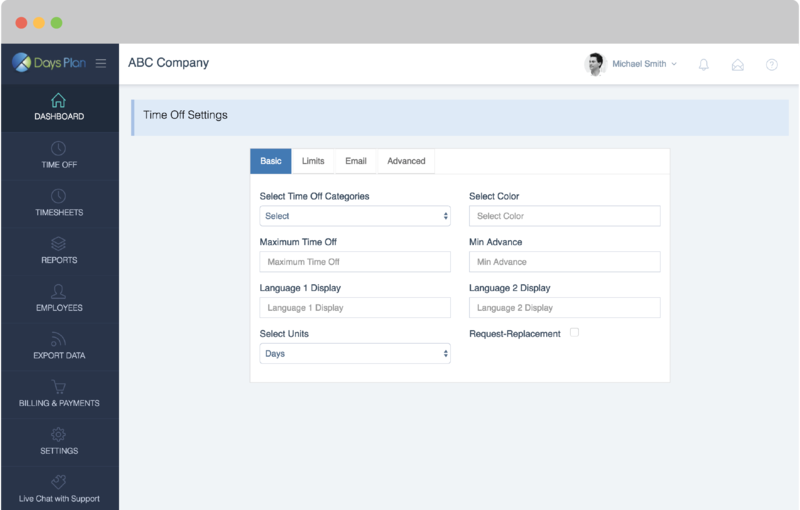 Find out how easy managing PTO can be with DaysPlan. Stop wasting time on updating spreadsheets and have more time to develop employees. Just set up accrual rules and settings for employee time off requests, then let DaysPlan work for you. When an employee needs to know how much sick time they’ve accumulated so far, how easy it is to get an answer? DaysPlan’s reporting features lets you access data and create reports in seconds. Our app for iPhone and Android devices lets your employees made time off requests on the go and allows managers to approve or deny them from wherever.